TAMPA, FLORIDA – Search engine optimization is all about figuring out what search engines want most and implementing those strategies on a website, which is precisely what Ali Husayni and his SEO team are doing with Millionairium. One thing Google loves most is fresh textual content, according to Saeed Khosravi, the company’s operational manager. The SEO marketing service uses WordPress blogs to get and keep their clients on the first page of the search engine results (SERs). Husayni and his SEO team are always monitoring updates to Google algorithms so they can adjust their strategies and stay on the cutting edge of SEO. Right now, Husayni says WordPress blogs are an important part of SEO techniques. “By incorporating a blog into a website and posting unique content on a regular basis, you will feed Google with what it likes most and will convince the search engine to crawl your site more often,” says Khosravi, an expert in organic SEO. The sub-directory setup, or embedded option, is what gives the most benefit for search engine optimization. An embedded blog helps the ranking of the associated site, whereas blogs set up on a sub-domain do not because they are treated as a separate domain by Google and other search engines. An embedded blog URL looks like this: www.millionairium.com/blog. Any other format, for example blog.millionairium.com, means the blog is setup as a sub-domain. “If clients already have a blog, we optimize it to meet their SEO needs, but if they don’t, we will set up their blog as part of our SEO services,” says Husayni, who is a leading resource for businesses seeking SEO outsourcing services. Millionairium uses the clients’ blogs to continuously update the site and provide readers with quality content, which increases online recognition and establishes their sites as a main source of information in their respective markets. Each new post gives another opportunity to add keywords to the URL, title, description and keywords. This is a recent post about ranking on Google places by Husayni on the Millionairium blog as an example. WordPress has features and functions built in that are automatically set up for SEO. The blog will guide spiders through the posts, pages and categories, quickly and easily gathering information about what to include in the search engine’s index, according to Husayni. Setting up a WordPress blog does not have to be time consuming, but Khosravi stresses the importance of the blog looking the same as the site to maintain a cohesive aesthetic. There is a famous five-minute WordPress installation with step-by-step instructions on the company’s site. Some web hosting providers set up WordPress for their clients for no charge. 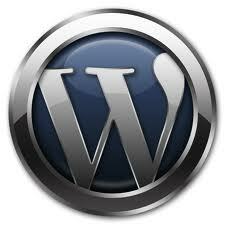 There are also many tutorials and videos online explaining how to set up a WordPress blog. Google has a starter guide that includes explanation, how-to and best practices for basic SEO techniques. “For those with limited budget, my suggestion is to install a WordPress blog, use a free theme and just focus time and energy on writing quality posts,” says Khosravi. Because WordPress is essentially a content management system, it is also a great option for people who do not have a website but want to get one and start search engine optimization right away with WordPress. The company or business can use the blog as their website. Khosravi says there is no drawback from a SEO perspective to running an entire site on WordPress. Husayni’s e-book, “Google SEO Secrets Revealed,” helps small business owners determined to bring their business to the top of Google search results with more than a hundred tips about SEO that they can implement themselves. To learn more about Millionairium’s business SEO services, visit: www.millionairium.com. Alternatively, you can call the company’s toll free phone support service at 1-877-932-6559 or call internationally at +1-303-932-6559 with any questions or to schedule a free consultation with Ali Husayni. very informative post.Really it is methodology of social media activity with the goal of attract unique visitors to website content. I receive many Trackbacks & Pingbacks on my WordPress blog. I want to know that whether I should approve these Pingbacks & Trackbacks or not… these pingbacks and trackbacks contains the links of external websites… and how do these help with SEO? Thanks! Trackbacks and Pingbacks are mostly to verify authenticity of website comments, and if a ton of spammed comments go without being moderated, this will impact your SEO efforts negatively. Thank you for this comment. I am writing a blog about Trackbacks and Pingbacks for bloggers today, based on your comment. For more SEO help, please fill out a contact form to see if we can help you: https://www.millionairium.com/contact-form.php. We are looking forward to the possibility of working with you. Nice share. Thanks for giving us such valuable information. This information is helpful for my web development. Thanks, Web Master! im not an seo expert but i know seo. that\’s what i\’ve bee thinking to. my main domain is indexed by google fast then, i created a subdomain. it was indexed when i submitted it for crawling and i placed a link from the tld to the sub but google did not visit that site after that. so im planning to use an embedded blog instead of a subdomain. Really helpful post for SEO Experts… Thanking you. SEO is all about getting desired keywords on the top of the SERP. You have mentioned a snippet of Blog\’s HTML part, that is really can work wonders for you. I\’ve used this code many times in my blogs and I got the results that I wanted. Integrated blog with a website also helps seo experts to analyse their keyword strategy by finding out traffic on a specific keyword in blog post. It is also helpful for users who looking for information related to your site\’s niche. I am always thankful that there is WordPress. Been using it for two years now. It is indeed a big help for Search Engine Optimization. Makes the work much easier! Bolg occupy a very important part in SEO. Nice blog. Its true SEO are important in enhancing the business. I really think this article is informative. people should be reading this especially bloggers who want their sites to have the traffic they need. I agree bloggers should have the nose for unique finds if they want to have more and more visitors. The SEO techniques will remain for 2012 as well. We\’ll update everyone with the latest changes. what about home page content, am i using too many keywords on it. I can\’t speak English clearly, but thanks for that info anyway. This is a nice blog. SEO is very important in each and every business. thanks a lot giving me such good tips………. Nice info, it\’s give me more knowledge to grow. Great info, I use woo-themes as a wordpress template. I love the easy SEO features it offers. I have gained a PR4 ranking and several SER keywords in a short time too! High quality, regular content is King! this is very nice article about seo and thanks ali for inform me for this article. it\’s great.